Mule-Hide Modified Bitumen roofing systems install quick and clean to a wide range of substrates. Choose the system to achieve the greatest performance with the least disturbance to your customer. APP Torch Cap Sheet is available in both granulated or smooth along with Self-Adhering Cap Sheet options (APP or SBS). Ideal for new construction and retrofit installations. 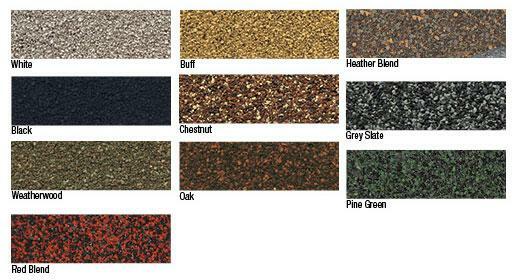 Granule surface cap sheets are available in 10 popular colors. Light-colored surfaces have been shown to reflect the suns rays reducing energy costs. High-quality compounds used in the manufacturing process allow for easy cutout and tie-in repairs. The classic choice for outstanding long-term performance and durability. Thicker membrane boasts superior weatherability and puncture resistance. Dual compound reinforced membranes with proprietary adhesive formulation on the bottomsurface. Patented SEALLap & FASTLap engineering provides stronger, more reliable seams and end laps. Mule-Hide offers an extensive warranty program with several options for commercial projects, including Membrane Warranties and System Warranties. Complete warranty information can be found under the Warranty Information tab. A Mule-Hide representative inspects all commercial projects for which a System Warranty is requested prior to the issuance of the warranty. To be eligible for a System Warranty, the installing contractor must be a Mule-Hide Warranty Eligible Contractor. Warranty Eligible Contractor information can be found under the Warranty Information tab.